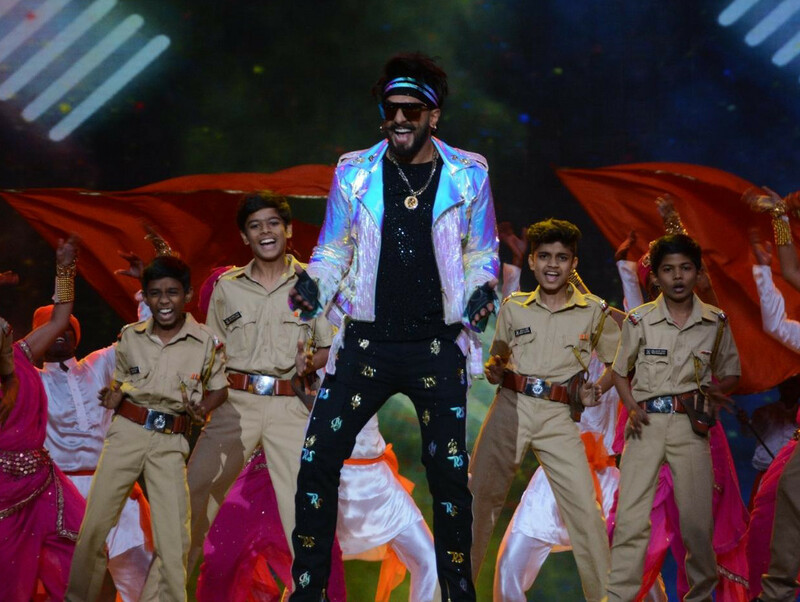 It was a night that rivalled the song-dance spectacle at Bollywood films awards as actors came together to pay it forward to the Mumbai Police at their annual Umang Festival in Mumbai on Sunday night. Actors including Ranveer Singh, Ranbir Kapoor, Alia Bhatt, Shah Rukh Khan, Vicky Kaushal and Katrina Kaif attended the glittering ceremony and put up elaborate stage performances. 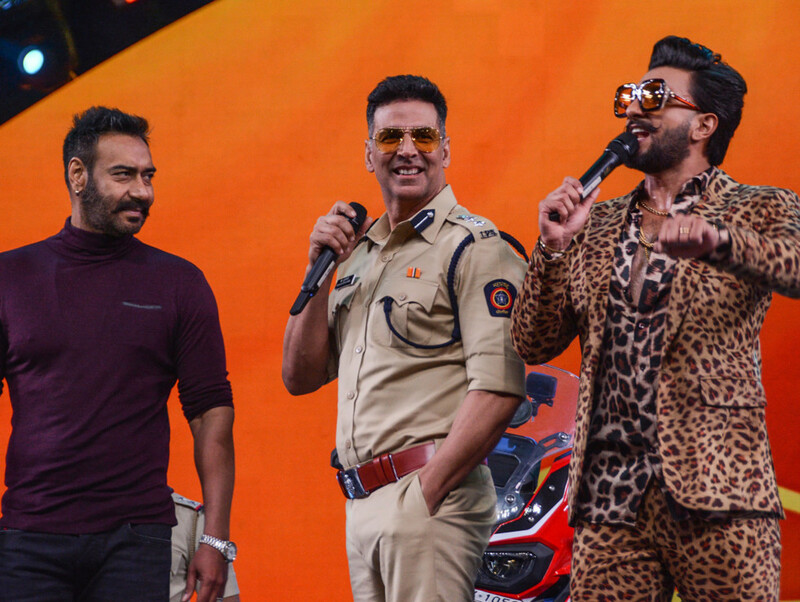 Singh, who’s riding high after the success of ‘Simmba’, made a dramatic entry in a psychedelic silver jacket atop an SUV before hitting the stage to dance to his hit numbers. Bollywood’s man-of-the-moment Vicky Kaushal made his stage debut at the Umang Festival. Young actors including Sara Ali Khan and Janhvi Kapoor poured their energies into an elaborate song-dance performance. But the highlight was when Singh danced with his Simmba co-star Khan on their hit number Aankh Maare. Ranbir Kapoor and Bhatt, who are allegedly dating, were a paparazzi magnet as they happily posed for pictures together. They also appeared on stage for a brief entertaining skit and dance. “Thank you so much for supporting us for the whole year. We just want to thank you tonight for making Mumbai the best place in this world for us. This is our small gesture of appreciation,” said Kapoor. Director Rohit Shetty also presented a cheque of Rs5.1 million (Dh263,607), culled from the ‘Simmba’ profits, as a token of their appreciation. 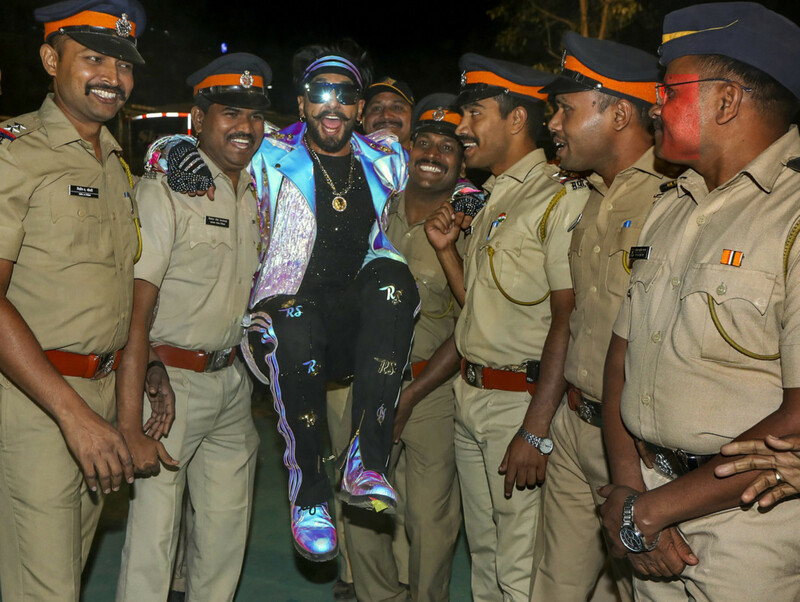 However, our favourite moment of the night came when Singh — who played a cheeky cop in ‘Simmba’ — was carried by the actual law enforcement officers for a photo-op. 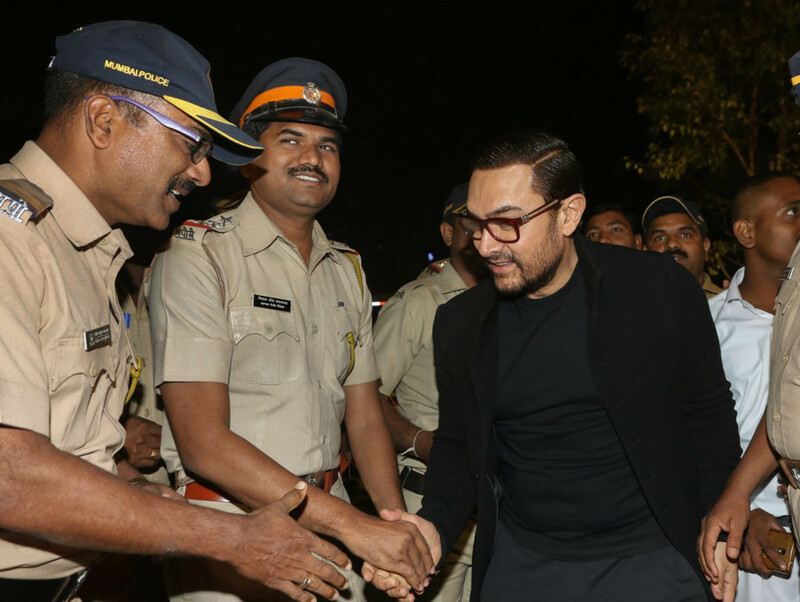 Judging by the pictures of revelry emerging from the ceremony, it was clearly an evening where Bollywood came together to show their appreciation for the Mumbai Police in a way they knew best: by dancing the night away.